12What Happened to Will Smith? in that way that really just wants to make you laugh? 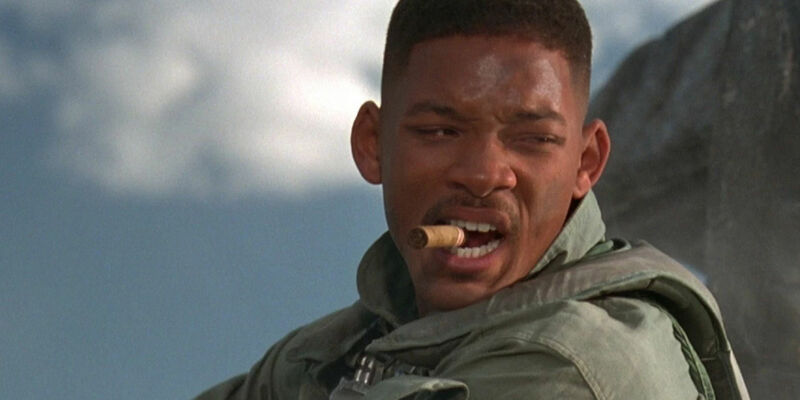 And Will Smith was at his best in his (arguably) career-making turn as Captain Steven Hiller in Independence Day. We will all miss him in the Independence Day sequel. The question is: what happened to him? The viral trailers accompanying the film states that he is a deceased war hero, dying in a weapons malfunction. Clearly, we are at least led to believe that he has passed. We hope that the film gives us a legitimate explanation for Steven Hiller's absence, and does not just gloss over his death, assuming everyone has seen the promotional material. Hopefully, if he did indeed die, it was because he was doing something heroic during that technology malfunction. Fortunately, we know his memory will be alive throughout the movie, as his stepson, Dylan Dubrow-Hiller (now played by Jessie Usher), and his widow, Jasmine Dubrow-Hiller (with Vivica A. Fox reprising her role), will be featured throughout the sequel. Next 11 How is Dr. Okun Alive?